Understanding Devops metrics will help you determine the best fit for your organisation. In application, some metric are more suitable to particular processes and organization compared to others. When choosing DevOps for a particular organization, a clear understanding of DevOps metrics tools and cycle is desirable. 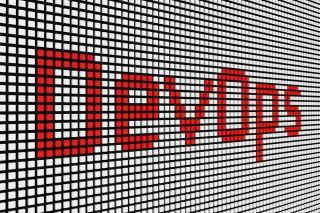 The role of DevOps is primary for better performance and output regardless of the target organization. Developments and operations popularly known as DevOps, is enterprise based software that describes the agile relationship between IT operations and development. The primary goal of DevOps is to foster this relationship by promoting better communication between the stated business units. It is clear that one cannot improve without effectively measuring and ascertaining the bottom-line of the process. For this reason, team metrics are crucial in molding specific milestones and sharing particular KPIs to sustain continuous developments. The implementation of measurement and tracking of DevOps results is essential. KPI fundamentally include several metrics that aid the delivery and technical progresses of the businesses. Further, DevOps is important in tackling challenges that its respective metrics expose. Different metrics bring about different results, this diversity of DevOps metric is crucial in gathering more relevant results. Deciding the number of metrics to adopt is a deliberate process that needs competence and understanding. Care should always be taken not to apply too many metrics as this may result to blurred findings. Depending on the nature of the organization, it is crucial to adopt the metrics that can potentially expose broader health and performance issues. Other important considerations of choosing metrics are relevancy and direct link of the metric to the business. The metric should also be able to trace the roots of problems experienced in the business. Change requires commitment in line with the set goals. An informed projection is also important to assess how various goals will translate into reliable tracking of process metrics and DevOps tools. Below are 9 major metrics that project managers and team leaders should keep an eye on. Project managers and team leads should always be keen on how often an official releases are particularly carried out for purposes of production or compensations. Stability of the tracking of the metrics is important depending on DevOps cycle and dynamics of the process under investigation. Small scale batch development, software updates and fast feedback mechanisms should often be deployed in large organizations. Deployment Frequency directly or indirectly depicts the capabilities of the developers, response time, team cohesion, Development tool effectiveness, and efficiency among others. This DevOps metric is critically compares the static code and ratio changes within the organization. For instance, PayPal use this metric to find out the total new stories and new lines of code they ship for each deployment that occurs in the company. For the record they come up with at least three features per day accompanied by over 500 lines of code every week. Apart from volume, nature and complexity of change is key in this DevOps metric. This is the measure of time intervals between deployments. This metric is essentially centered in the cycle of DevOps between the start of new code and the time of its implementation to the production process. Cycle time is primarily an indicator of process efficiency. For this reason, cycle time should always be tracked with value stream mapping to assess the areas that need improvement within the process. With a clear understanding and control over the life-cycle, the team should definitely cut on lead times to enhance sustainability in the organization. Lengthy lead times indicate inefficiency and performance bottlenecks of the deployment processes at certain levels. Couple with other metrics such as change of volume, this metric is crucial in the overall performance of the process. For instance, deployments failures that go beyond the recommended rate can attract undesirable customer reaction and at times may lead to process outage. If the change in volume is insignificant or remains relatively low over a time, high failed deployments may show gross failure in the system or process. Failure rates must constantly be kept low and should continually decrease over time for better DevOps process health. PayPal advocates that the review of this metric should simultaneously be carried out with others metrics, especially change in volume. This DevOp metric measure the average time required for the team to recover from events of dysfunction and failure. Through this metric, competence of the team in handling emerging faults and managing process can easily be gauged with competence. According to PayPal, mean time to recovery depends on the flexibility and ability of the team to tackle unique problems that arise regularly. Mean Time to Recovery should also decrease over time as do deployment failure rates. The main implications of mean time to recovery include implementation of new features, coding platform complexity, change in environment of operation for instance the servers and system upgrades. Mean time to recovery requires performance analysis on the uptime and downtime together with traffic volume. Other implications of mean time to recovery include repair tickets, failures and builds. To realize better results from this DevOps metric, better project management tools should accurately be developed to track failure implications and management them efficiently. Eventually, this will improve performance levels and sustain high uptime for continuous productivity. When carrying out intensive metric tracking, this DevOp metric is reliable in assessing customer satisfaction with insight. Most organizations define success based on how frequent they ship products without any customer outage. Most organizations rate their performance rates through the total number of tickets that users generate within a specified period. This metric represents the number of new customers and guests that are registering in the organization portal. Similarly, it includes the number of customers that are directly or indirectly interacting with the organization through its team. With all factors held constant, the overall dynamics in the traffic visiting the organization per unit time indicates the health of the organization and reciprocate the underlying efficiency. Percentage increase of this DevOps metric is an indicator of improved organizational system and the inverse is true. All DevOps metrics are important in achieving organizational continuity in production, customer services among other functionalities. Organizations that are consistently available to the customers regardless of the volumes score high in the market. Such organization will sustain a long-term relationship with their clients even when they are experiencing severe downtimes. Availability to build customer trust and ensures that the organization is essentially headed to the accomplishment of its core aims. This DevOps metric is directly attributed to the average response time. Performance should always remain constant and stable regardless of the percentage changes in deployments and number of users. Meeting performance thresholds is crucial for sustained development. Team leaders and project managers should collectively put in practice various metric to realize high results within a DevOps team. A number of team metrics discussed are fundamentally essential in realizing better organizational output. Further, the metrics are fundamental in realizing the set goals with ease. In view of this, DevOps mainly aims at timely production coupled with intensive and correctional market research. This agile program is equally important in tracking all the relevant organizational practices and solutions to the problems facing the market. Finally, these metrics are unique and overly require scrutiny in choice and general application in organizations.